Russia (Russian: Россия, Rossiya), officially the Russian Federation (Russian: Российская Федерация, Rossiyskaya Federatsiya) is, geographically, the largest country in the world, extending across northern Asia and much of Eastern Europe. It shares borders with Norway, Finland, Estonia, Latvia, Lithuania, Poland, Belarus, Ukraine, Georgia, Azerbaijan, Kazakhstan, China, Mongolia, and North Korea, and shares maritime borders with Japan and the United States state of Alaska. By the 18th century, the Russian Empire was one of the largest empires in history. Following the Russian October Revolution (1917), the Russian Soviet Federative Socialist Republic was the largest and leading constituent of the Soviet Union (Union of Soviet Socialist Republics, or USSR), a Union that lasted until 1991. The earliest Russian puppets, probably animated by the skomorokhi (travelling players), were unearthed by archaeologists in Moscow’s Red Square at some time in the cultural layer of the 15th century. They were little clay figures with holes for the fingers of the puppeteer. The oldest evidence of a show given by a skomorokh is dated 1636. It is a drawing with a brief caption by Adam Olearius (1603-1671), a German scholar and secretary to the Holstein embassy in Russia, in his description of a journey to Persia via Russia. The puppet performance appears to be part of a fairground show alongside bear games, music, dances, etc. In it the puppeteer is demonstrating his figures above a sort of circular tent booth fixed around his body at the waist, very similar to those in Persia, China and Central Asia. 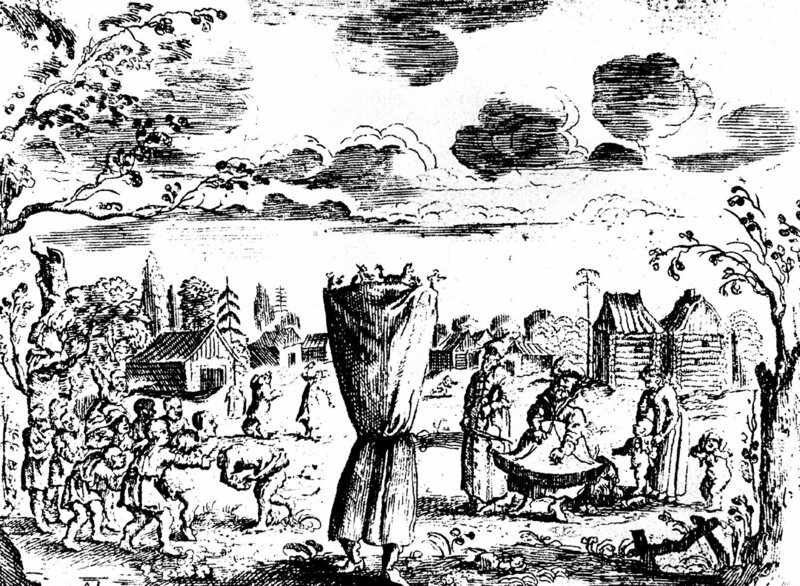 It is also in the records that puppet shows were staged at the court of the Tsar Aleksey Mikhailovitch (1629-1676), while the first professional puppet theatre appeared in the reign of Peter the Great (1672-1725). At his invitation, puppeteers began to arrive from various European countries, not quite as freelance as they were in Europe, since in Russia their tours had a certain political meaning. The majority of foreigners were Germans, Danes and Dutchmen. One of them, Jan Splavski, a performer of Hungarian origin, became the first puppeteer to have his name entered in Russia’s historical records. In 1701, by order of the Tsar, he undertook a series of tours along the Volga and in the Ukraine. Later he invited to Moscow a Gdansk-based company led by Johann Kunst, a disciple of the German puppeteer Johann Velten. Kunst gave the first public puppet performance, free and open to all, in the Kremlin’s Red Square. From that time the first dynasties of puppeteers began to evolve, at first the Yakubovskis, of Polish origins but naturalized and converted to Russian Orthodoxy, who gave performances from the early 1700s to the 1760s. The repertoire of the period included adaptations of romances of chivalry, Bible stories and farcical skits, with sumptuously costumed characters and many props and other accessories. The stringed marionettes (string puppets) were very popular, as were the automata, the shadow plays, the panoramas and the rayok or “optical theatre”. Fyodor Volkov (1729-1763), considered as Russia’s first professional actor, founded his own puppet theatre while studying at the Nobleman’s Cadet Corps. 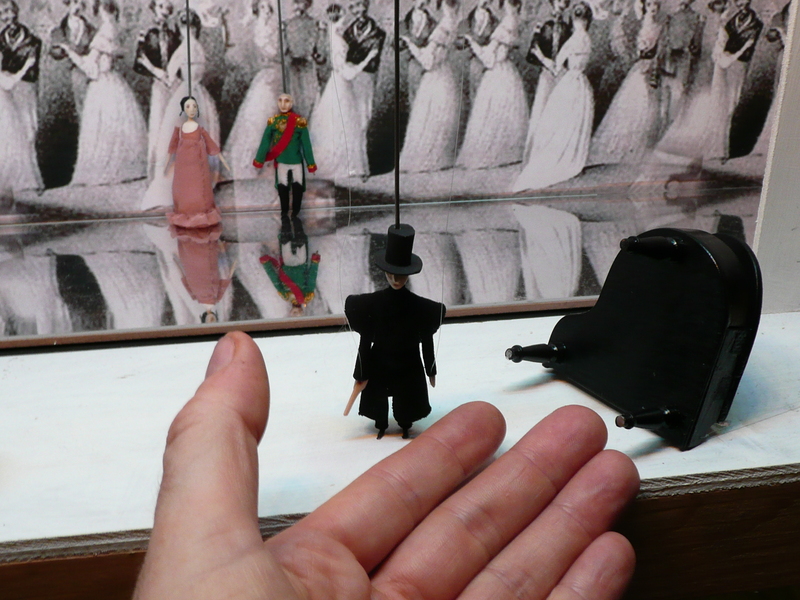 By the 19th century the puppet theatre had cemented its place in Russian culture. The popular folk comedy of Petrushka evolved, interwoven with various European traditions. The best description of a street performance and the puppeteers’ life of the period was given in 1843 in “Peterburgskiye sharmanschiki” (Petersburg Hurdy-Gurdy Men), a short story by Dmitry Grigorovich (1822-1899). According to him most of the puppeteers in Russia were of Italian origin, and the two protagonists, Pulcinella and Petrushka, sometimes appeared in the same play, the former taking the lead and the second putting in an appearance near the end. It was also an episode in Dostoyevsky’s short story “Gospodin Prokharchin” (Mr Prokharchin) – in fact one may find in his works numerous allusions and metaphors linked to the puppet. During the second half of the 19th century the puppeteers, for example Pavel Sedov and Ivan Makarov (end 1890s to early 1900s), were mainly Russian, the proprietors of mobile booths or balagans. 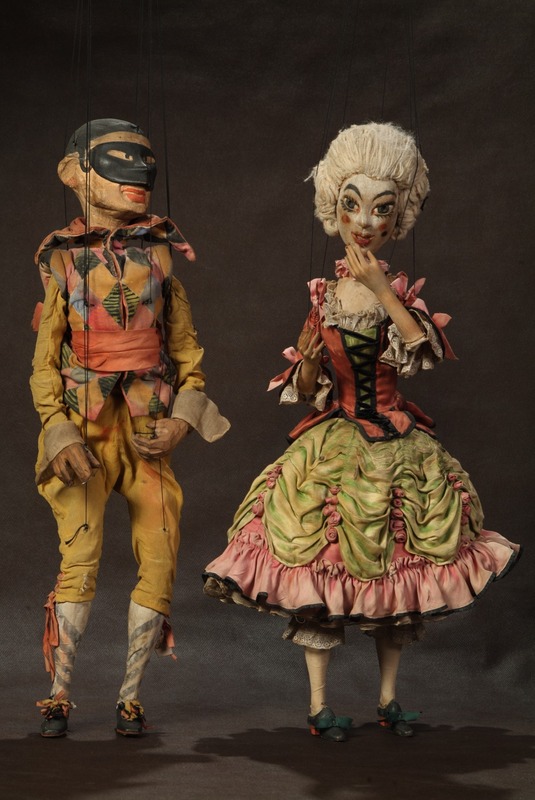 At the beginning of the 20th century the development of the Russian puppet theatre received fresh stimulus from bohemian artists and intellectuals who closely followed the innovations of French and German puppetry, notably those of the Munich marionette companies. For example, Nikolai Evreinov (1879-1953) often used puppets in his productions in the Starinny (Old-Time) Theatre, and wrote an adaptation in Russian of the Turkish Karagöz show. The interest taken by the intellectuals in the capacity of the puppet was evidently focused on its actual performances. In 1916, Yulia Slonimskaya (1884-1972) and her husband Pyotr Sazonov (1882-1969) opened a puppet theatre in Petrograd (now Saint Petersburg), considered to be Russia’s first modern professional puppet theatre. Slonimskaya, who believed in the power of mime, saw in the marionette its purest embodiment. The couple developed their knowledge of string puppets while touring through Italy and Germany, their research culminating in Sily ljubvi i volshebstva (The Forces of Love and Magic), a piece presented by the troupe of Charles Allard and Maurice Vondrebeck near the Saint-Germain fairground in Paris in 1678. The production, which mixed artists, actors and opera singers, was exceptionally colourful and technically varied; but although it was the most memorable event of the season in Petrograd (formerly and in the future, Saint Petersburg), it was not performed again. In 1917, the year of the revolution, Yulia Slonimskaya emigrated. From its beginnings the new socialist State born of the October Revolution in 1917 defined and put into practice its cultural policy, proclaiming as its main goal the education of the nation. In this the theatre was given a particular role to play and even more particularly the puppet theatre, which was intended to create a new culture for children. Financed by the State, like all other forms of theatre, it found itself liberated financially but enslaved ideologically. 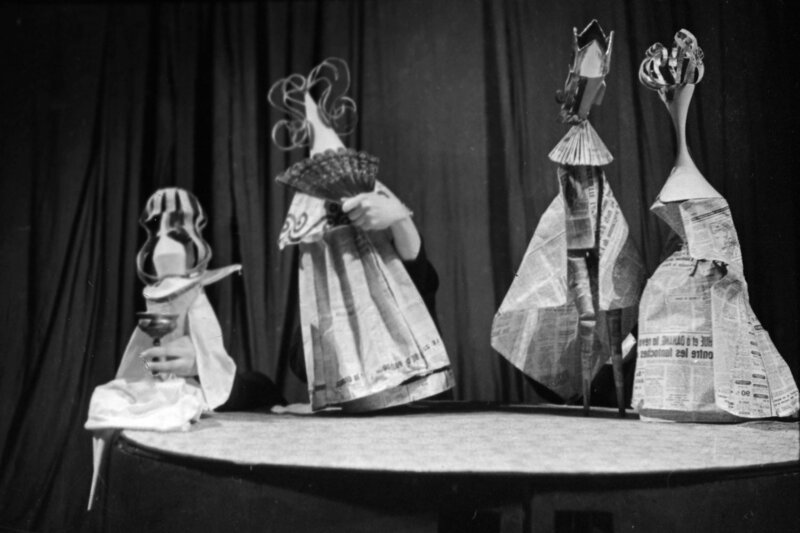 During the winter of 1918-1919, when civil war was at its height, the basic theories for a new puppet theatre were announced, invented with the participation of a number of practitioners. 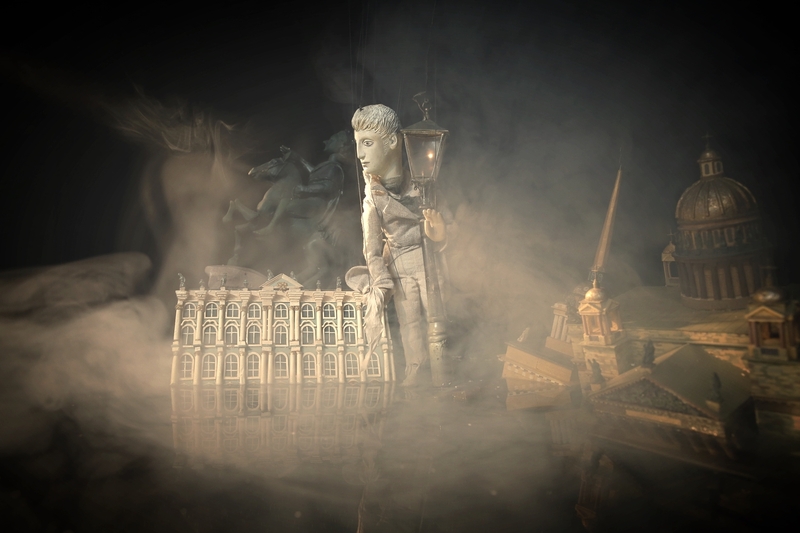 The Efimovs (see Nina Simonovitch-Efimova), a Moscow-based dynasty with a virtual monopoly in glove puppetry, were producing in the Gosudarstvenny detsky teatr (State Children’s Theatre) the fables of Ivan Krylov (1769-1844) and the stories of Hans Christian Andersen. In Petrograd, the painter Lyubov Shaporina-Yakovleva (1873-1967) headed a group of enthusiasts who made their first appearance in the Petrogradsky teatr marionetok (Petrograd Marionette Theatre), specializing in the use of string puppets. Just after 1930 the company was combined with the Petrushka theatre of Evgeni Demmeni, becoming the Teatr marionetok imeni E.S. Demmeni (Saint Petersburg Demmeni Marionette Theatre). 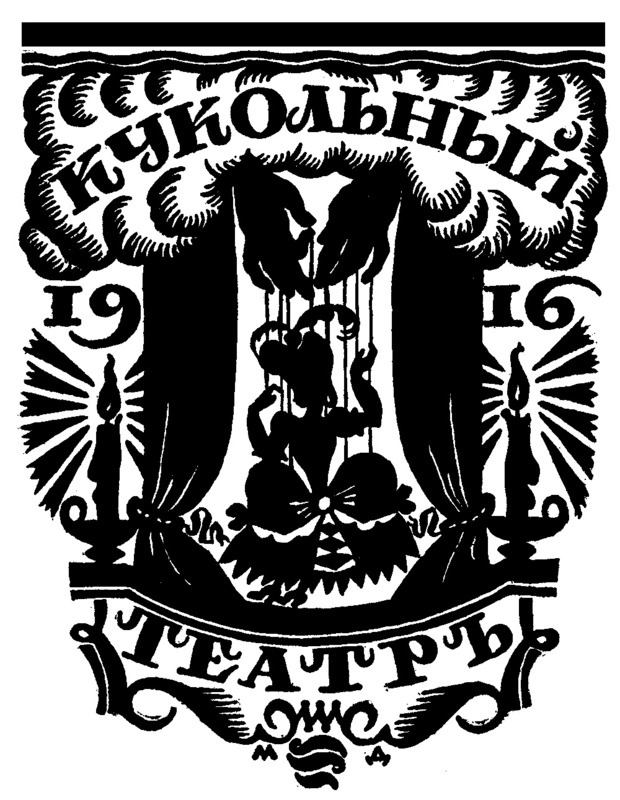 The Studia kukolnogo teatra (Puppetry Workshop), a company which opened in 1920 under the aegis of the prestigious Kamerny (Chamber) Theatre directed by Aleksandr Tairov (1885-1950), proved that puppet theatre was to be taken seriously. The Workshop was the brainchild of Vladimir Sokolov (1889-1962), a member of the Kamerny Theatre, who saw in the puppet a tool for the training of actors. In mastering the string puppet control, the students would learn the laws of musical movement and vocal expression. In spite of State support, the Workshop lost its premises and was forced to close. The key educational strategy, aimed at adults as well as children, was via agitation and propaganda (agit-prop theatre), performed most commonly by Petrushka, who was justly thought to be an ideal mouthpiece. He performed as the hero of shows about the civil war and the class struggle, shows promoting literacy, hygiene and to a certain extent religion, then judged of secondary importance. A large number of companies played in towns and villages, or for the troops at the front, and in fact Petrushka was to be seen on every festive occasion. Thus, for the first anniversary of the revolution, 1918, in Moscow, a group of artists presented “Red Petrushka” in Voina kartochnykh korolei (The Playing Card Kings’ War), in which Petrushka, carrying a red flag, called the people to arms. The piece was published as a book sold with a set of puppet characters so that other groups might perform it. Petrushka was not the only puppet protagonist of the new order. In Voronezh, an open-air show, Gibel imperialisticheskoi Gidry (The Death of the Imperialist Hydra), featured a mechanical monster about 50 to 60 metres tall that breathed fire. And later, for the Revolution’s 10th anniversary, satirical pieces were presented by puppets caricaturing the leaders of the rest of the world. As blatant propaganda became less necessary, the role of the political puppet diminished, and by the end of the 1930s the genre was almost extinct. Children’s literature replaced the politics of hygiene, although this evolution was somewhat held back by official attacks on the relevance of fairy tales, which for a period at the end of the 1920s and the beginning of the 1930s were thought to be decadent, encouraging mysticism and monarchism. However, in 1936, the Communist Party decreed an end to this ideological strategy and the fairy tale was reinstated. Many reputable puppeteers, such as Nikolai Solntsev (1895-1958), an excellent puppet-maker, started their career in agit–prop. Nikolai Bezzubtsev (1885-1957) founded an amateur troupe at the University of Voronezh, which formed the kernel of one of the oldest Russian companies, the Voronezhsky teatr kukol (Voronezh Puppet Theatre). The sculptor Nikolai Shalimov, while working for the Red Army theatre in Ashkhabad, received State aid in the form of textiles taken from the stores of the Emir of Bokhara, with which he immediately made puppets. His production played by futurist figures, Korona i zvezda (The Crown and the Star), was chosen for the opening of the Moscow-based theatre Maska (The Mask), but was closed by the city authorities several productions later. From the demise of agit-prop shows arose a professional puppet theatre Muzei igrushki (Toy Museum) directed by Nikolai Bartram (1873-1931) that became the federal centre for a number of puppet companies. A seminar organized by Evgeni Demmeni in Leningrad seems to have been the first attempt at an education for professional puppeteers. New children’s theatres opened in Yaroslavl (1928) and in Nizhny Novgorod (1929). At about the same time Demmeni staged his first shows for adults, and the Sergei Obraztsov “concerts” repeated their original success. A new chapter in the history of Soviet puppetry began when, in 1931, Obraztsov was appointed Head of the puppet theatre in the Tsentralny Dom khudozhestvennogo vospitania detei (Central House of Artistic Education for Children) in Moscow. His artistic and managerial skills drew the attention of professionals and public alike to the puppet. In 1937, his company moved to a specially built puppet theatre and museum on a site nearer the centre of Moscow. The same year a national festival was held to showcase the achievements of this young Soviet art, and to inspire the puppeteers of the other Soviet republics with the desire to emulate the Obraztsov success, both in technique and repertoire. In 1940, the Gosudarstvenny tsentralny teatr kukol imeni S.V. Obraztsova (Sergei Obraztsov State Central Puppet Theatre) opened its first adult (and first rod puppet) production of Volshebnaya lampa Aladdina (Aladdin’s Magic Lamp), designed by Boris Tuzlukov, helping to promote the use of the long nether-rod puppet which Obraztsov pronounced “romantic”. (See Gosudarstvenny akademichesky tsentralny teatr kukol imeni S.V. Obraztsova or Sergei Obraztsov State Academic Central Puppet Theatre). Between 1941 and 1945, the dates of Russia’s World War II, Obraztsov returned to the well-tested forms of propaganda theatre and produced revues such as the satirical Frontovaya programma (Frontline Programme, 1942) which was performed along the Western Front, then dangerously close to Moscow. At the same time, Demmeni’s company was presenting a political fable, Oriol i Zmeya (The Eagle and the Serpent), in the stations where the troops waited to leave for the Front. New companies emerged as soon as the siege of Leningrad was lifted at the end of 1944. The State Teatr Skazki (Theatre of the Fairy Tale) opened there. Even in the gulag of the Komi region, some puppet groups were created by the prisoners working on the Northern Railroad. In the late 1950s, the Russian puppetry scene began to change, as the global stage gradually opened up for the Soviet puppeteers. The famous company of the Czech Josef Skupa came to perform in Moscow, and a large Soviet delegation attended the 1st International Puppet Festival in Bucharest. A national UNIMA Centre was set up in 1958 on the initiative of Lenora Shpet who became its first general secretary. Later this post was taken by Irina Zharovtseva, who worked at the centre from 1958 until 2000, and who made a significant contribution to the development of international ties of Russian puppeteers. Foreign puppeteers were invited to attend the final part of the Vsesojuzny smotr teatrov kukol (All-Union Puppetry Parade) in 1958, and were impressed by the productions of the Moskovsky teatr tenei (Moscow Shadow Theatre, est. 1937) and particularly the work of its stage designer Еkaterina Zonnenshtral (1882-1967). The 1960s, referred to as the “Thaw” due to society’s revitalization following the long “winter” of Stalinism, marked the end of a great era for the Russian puppeteers. At first nothing appeared much changed; even up to the middle of the 1960s there were no productions that were not dictated by one personality: Sergei Obraztsov. He set the standards for everything, the repertoire, the company profile, the scenic principles, down to the dimensions of the stage, the contents of the theatre library and even the species of caged birds in the theatre foyer. This was the time of the rise of Marta Tsifrinovitch who adopted Obraztsov’s techniques for the concert stage. A national puppet dramaturgy was also developing: alongside the traditional plays of Nina Gernet, there was new work, uncensored, by Evgeni Speransky and Yuri Eliseev, both of them writers and directors. New talent, such as that of Genrikh Sapgir (1928-1999), promised a bright future for the art form. 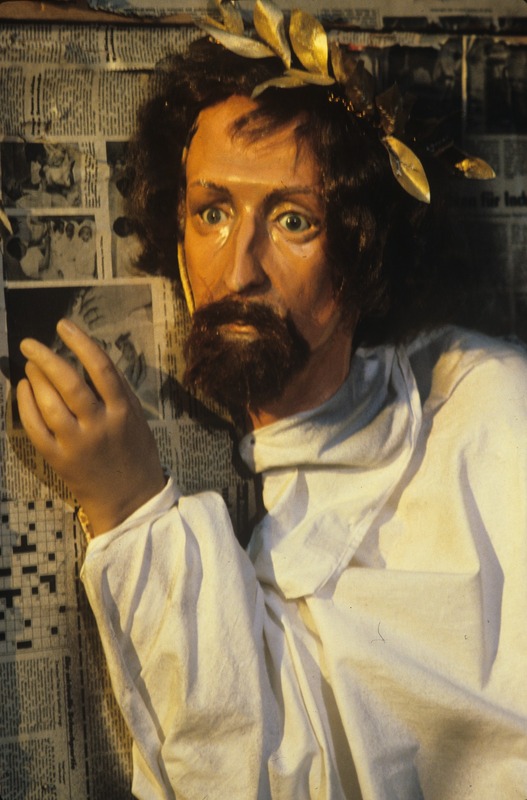 Close examination reveals that a number of directors from the 1960s whose puppetry philosophy dramatically differed from that of Obraztsov, who regarded puppetry simply as entertainment for adults and an ingenious method of educating children, came to the fore. 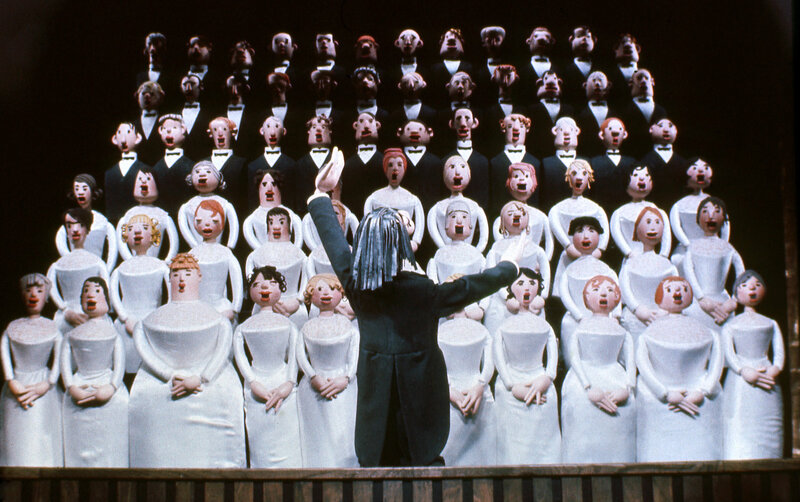 Between the end of the 1960s and the beginning of the 1970s, this new generation of directors began to reject the old repertoire in favour of adaptations for the puppet stage of universally known classics. Zhavoronok (The Lark) by Jean Anouilh, staged by Boris Ablynin in Moscow in 1966, was evidence of unprecedented artistic and political energy, and a first sign of the pending changes. The Ablynin studio was active only until 1972, proving by its brief existence that radical innovation was impossible with Obraztsov in close proximity. Accordingly the more ambitious artists left Moscow to work in the provinces where there was more freedom to produce their own choice of theatre. One of these reformers, Vladimir Shtein, went to work in the mid-1970s in Ufa, Bashkiria, where he presented his legendary show, Beliy parokhod (White Ship, 1977). At the same time the graduates of the Leningrad School of the great Mikhail Korolev were reaching artistic maturity, overturning the Russian perception of the art of the puppet. 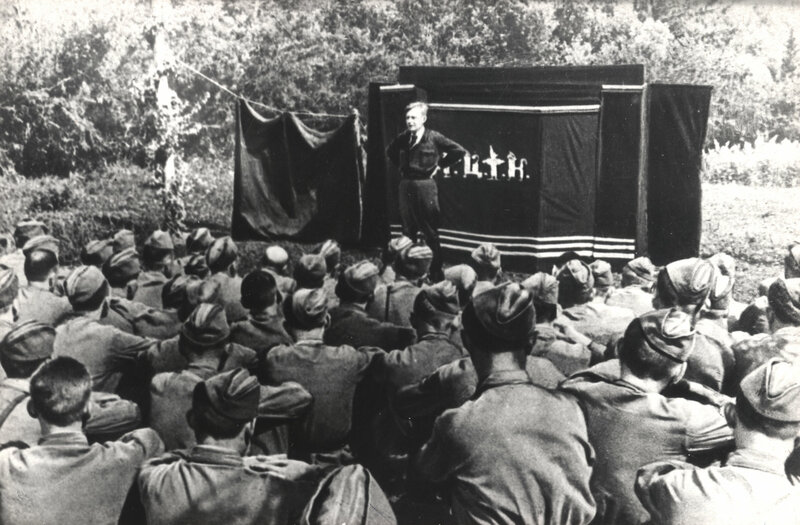 The results of the Korolev training were especially visible in the work produced by the geographic/artistic phenomenon known as the “Ural Zone” where several puppet theatres were directed by former pupils and disciples of Mikhail Korolev, among them Valery Volkhovsky, Viktor Shraiman, Roman Vinderman, Anatoly Tuchkov, Mikhail Khusid, Evgeni Gimelfarb, Sergei Stolyarov, all notable directors; also scenographers such as Mark Bornshtein and Elena Lutsenko. All played an important role in the shaping of a Ural network, developed by festivals, seminars and meetings, together contributing to a common artistic programme designed to promote a metaphoric language of visual codes and social meanings. The trademark of any production with the “Ural Zone” stamp would always be the conflict between the artist and authority (or the individual and society), and to make this clearly visible onstage came the introduction of the live actor. The actor, whatever part he or she was playing, D’Artagnan, Gulliver, Joan of Arc or Don Quixote, was always antagonistic to Authority, invariably represented by puppets, masks or mannekins. In addition to manipulating the puppet, the actor, having abandoned the omnipresent puppet screen, needed the skills and the physical fitness of a dramatic actor, a mime, a singer and a dancer. Thus, at this period of the supremacy of the “Ural Zone”, the profession of actor-puppeteer came to be respected, and the names of Venera Rakhimova, Valentina Shiryaeva, Natalia Shulga, Evgeni Terletzky and Stanislav Zhelezkin at times sounded louder than those of the directors. Still later (1992) Stanislav Zhelezkin opened his Ognivo (Tinderbox) theatre and in 2008 was awarded the title of “The People’s Artist of the Russian Federation”. The “Ural Zone”, representing the people’s aspirations towards freedom, retained its prime position up to the mid-1980s, until the coming of Mikhail Gorbachev’s perestroika (reconstruction) which dramatically changed the relationship of art and reality; life suddenly seemed so much more rich, provocative and inspiring than any theatrical fiction. 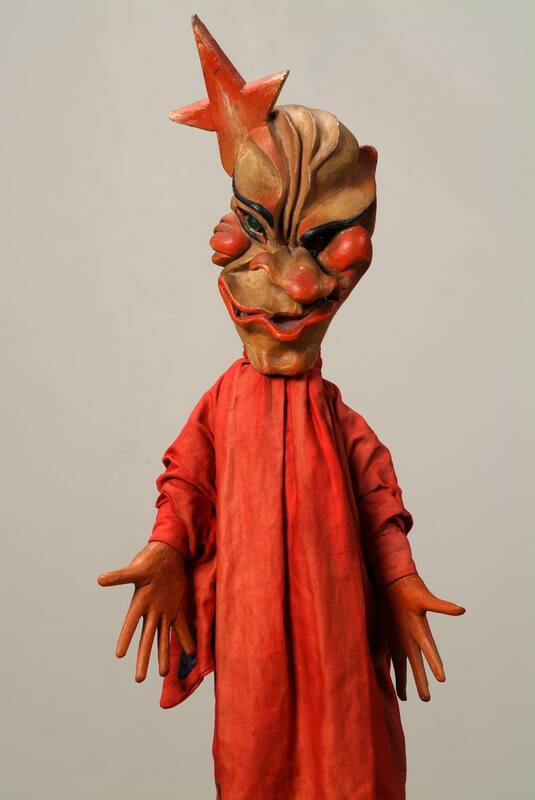 The “Ural Zone” was not the only geographical and aesthetic force for the development of the puppetry arts in Russia. After the 1980s came a true “decentralization”, in the spirit of the essential process of the time, and the Ural Zone lost some of its supremacy. Young directors such as Igor Ignatyev and the designer Anna Ignatyeva, later responsible for the golden days of the Teatr Skazki (Theatre of the Fairy Tale) of Saint Petersburg, began their careers in Perm. The marionette theatre of Rezo Gabriadze, established in the Georgian capital of Tbilisi in the early 1980s, toured in Russia, bringing new colours and forms to the national scene. His chamber productions were a welcome correction to the weighty ambitions of the Russian directors (whether pro- or anti- Obraztsov), with a modest company suitable to the scale of his shows, consisting of not more than ten performers for an audience of two hundred. The “Ural Zone” was even contested in the heart of the Zone itself, by the Kurgansky teatr kukol Gulliver (Kurgan Puppet Theatre Gulliver) director and educator Boris Ponizovsky (1930-1994), better known for his ideas and influence on the practitioners of the puppet theatre rather than for his actual productions, seeking a broader, more contemporary art form. Ponizovsky was concerned with a completely new theatrical language, in its visual and dramatic forms (for example, the AKHE Engineering Theatre of Saint Petersburg), rather than with the metaphorical (and socially motivated) language so important for the “Ural Zone”. 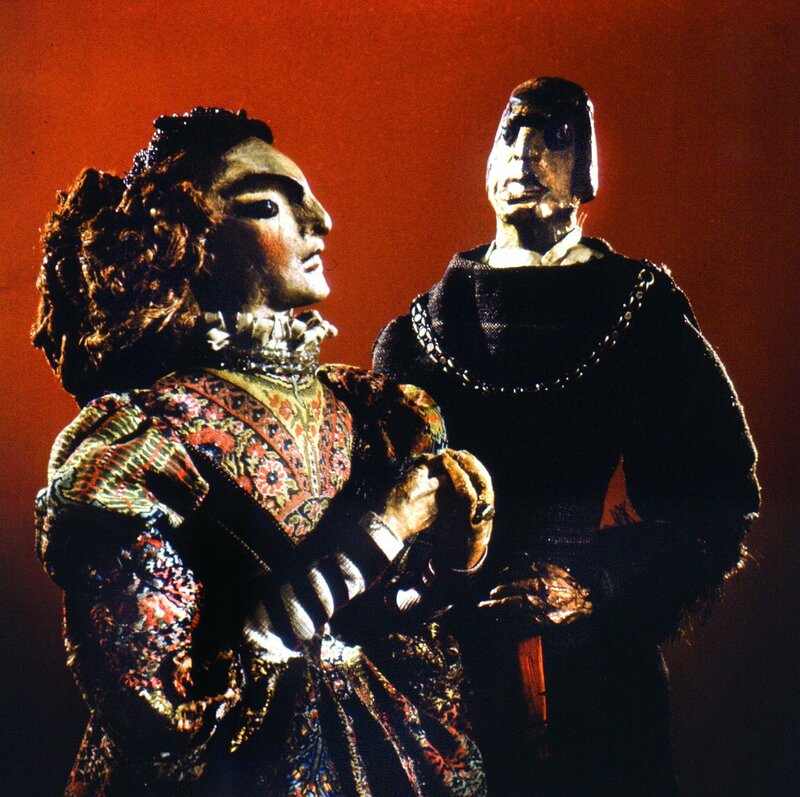 Echoes of his experiments in the 1980s in Kurgan filtered through to two theatres in Leningrad, one (known later as the Svyataya krepost The Holy Fortress of Vyborg) directed by Yuri Labetsky, and the other the Kukla (Puppet) directed by Evgeni Ugryumov, both of whom tried to impose psychology on the puppet while drawing on classical sources. Mikhail Khusid, another follower of Ponizovsky and the leader of the Chelyabinsk puppet theatre in the 1980s, undertook, for the first time in a State theatre, to revive traditional puppet themes, and under the aegis of the “Museum of Re-animated Puppets” produced a version of Faust and of Petrushka in a form both archaic and stylized (scenography by Julia Viktorova). Another revivalist enterprise was that of Viktor Novatsky (1929-2003) who, together with Irina Uvarova, brought about the re-birth of the vertep (Ukrainian puppet performance representing the Nativity as well as secular material), both amateur and professional, with its own festival in Moscow (since 1995) and in Lutsk. 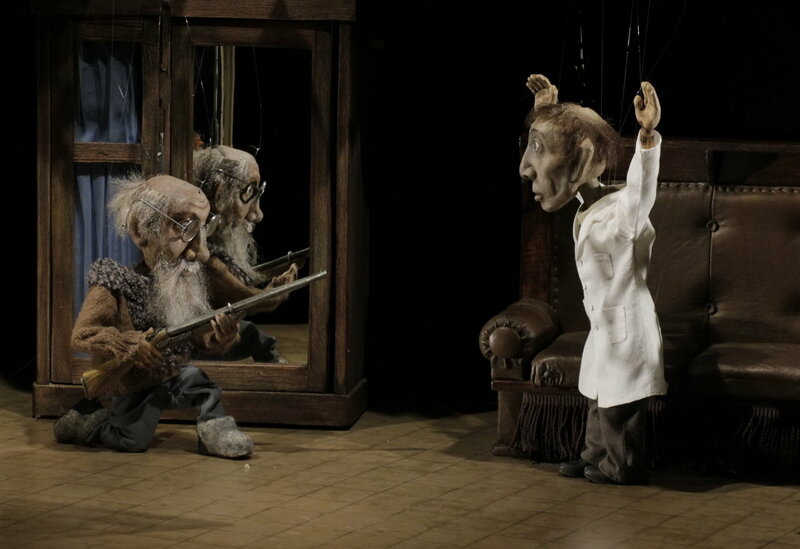 The early 1990s were marked by the growing diversity of puppet productions and by the decline of authority in theatre, including that of the directors, reflecting the political situation. In addition, everything thought to be “grand” (ideas, auditoria) was rejected. A show could now be played in a room or on a table. The minimalizing effect achieved its extreme form with the company Teatr Ten’ (today Moskovsky Teatr TENb [lier]Moscow Theatre TENb[/lier]) and the production Gastroli Bolshogo Korolevskogo Lilikanskogo teatra v Rossii (The Tour of the Lilikan Grand Royal Theatre in Russia, 1996). The whole theatre and all its accessories fitted into five square metres, and only five spectators at a time could attend the 30-minute show. The shrinkage in scale was not the point here; the process rather focused on the disintegration of a show as such, the decline of the director’s role and the “liberation” of other theatrical professions. Designers filled the stage with wild invention, creating worlds of the mind and produced installations that turned theatrical shows into contemporary performance art. Gradually designers and actors began to stage their own productions without hindrance and established private theatre enterprises. Thus actor Andrei Efimov of the Yekaterinburgsky munitsipalny teatr kukol (Yekaterinburg Municipal Puppet Theatre) designed and built seventy puppets for his production Illuzion (An Illusion), in which the dramaturgy lay in the demonstration onstage of the process. This, like other pieces of “designer’s theatre”, did not attempt to create the illusion of a finished product, nor to justify formal experiments around a familiar tale, but to reveal in real time a thorough knowledge of stagecraft, neglected in Russia for many decades. Having lost its centre, its inner core, and now its censors, the Russian puppet theatre like Russia itself was learning how to become part of the modern world. For the performers, the decline of the director caused a widespread return to Petrushka as a genre that did not require a director at all, since direction was provided by the tradition itself. The husband-and-wife couples, Irina and Sergei Kuzins and Anatoli and Larisa Arkhipov, were among the most notable Petrushka revivalists, as was Aleksandr Zabolotny (in Pskov) who staged the archetypal character in many forms, from Kolobok, the magic bread-roll man of Slavic fairy tales, to Adolf Hitler. The directors survived the crisis as best they might. Having abandoned any literary base they came to the idea of a performance without words. Musical structure took pride of place and puppets played in dozens of operas, ballets, piano cycles and symphonic suites. The urge for reflection inevitably led the Russian puppet theatre to techniques well developed in Europe, but unused in Russia for over fifty years. String marionettes, glove and shadow puppets, almost forgotten, came to join the rod puppets which had been the dominant technique from the middle of the 20th century. From the beginning of the 1990s it was rare to see a show with only one kind of manipulation technique – often several would be employed in separate parts of the plot and in a variety of stage spaces. The finale of Don Zhuan (Don Juan, 1997) in a production by Aleksandr Borok and Sergei Plotov in the Yekaterinburg Municipal Puppet Theatre presented two Don Juans, a puppet and a live actor who shook hands, manifesting a truce between the traditional and the modern that had finally come to the Russian puppet stage. The beginning of the century was marked by the entry of a new generation of directors, trained at the Puppetry Department of the Saint Petersburg Theatre Arts Academy. They included Ruslan Kudashov, the founder of the Teatr Potudan (Potudan Theatre), which featured the latest development trend with their first two productions: an adaptation of Andrei Platonov’s Potudan’ (The River Potudan’) and Nikolai Gogol’s Nevsky prospekt (Nevsky Prospect). These received Russia’s national theatre award, Zolotaya maska (Golden Mask) and toured extensively. Since 2004, Kudashov has been the chief director of the Bolshoi teatr kukol (Bolshoi Puppet Theatre). Another remarkable director then was Evgeni Ibragimov, who staged his productions at the Khakassky teatr kukol Skazka (Khakass Puppet Theatre Fairy Tale) in Abakan. A great number of private theatres were opened, the best-known being Saint Petersburg’s Kukolny format (The Puppet Format) company with designer Anna Viktorova, and Karlsson House Theatre, founded by Boris Konstantinov, Denis Shadrin and Aleksei Shishov. The theatre’s production, Leningradka (A Leningrad Girl, 2008), was dedicated to their hometown, which during World War II survived the terrible devastating siege. The production has won a number of awards. 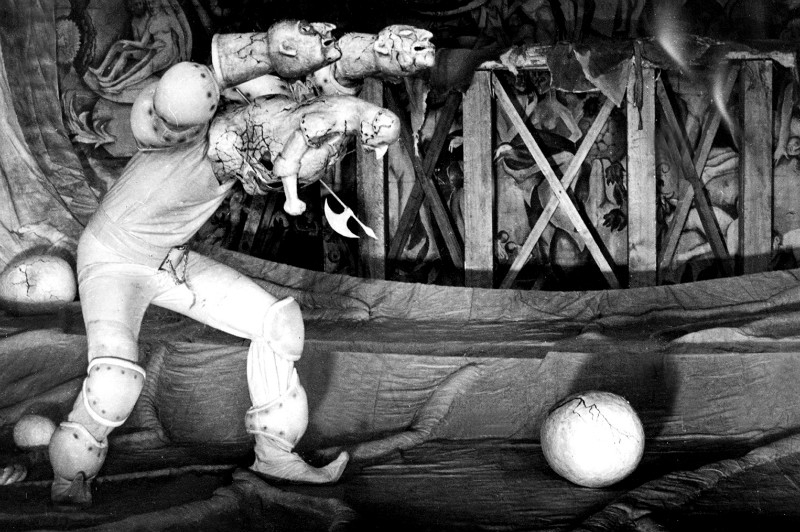 In addition to the black light puppets, methods of cinema and animation are emphasized in the performance. The use of present-day technologies is one of the typical directions of the development of the Russian puppet theatre. The Russian Federation comprises sixteen autonomous republics, five autonomous regions and ten autonomous districts, home to more than a hundred nationalities of diverse ethnic roots, religious beliefs and cultural traditions. Almost every administrative unit has its own puppet theatre which plays in Russian and in the local language: the Buryat Puppet Theatre “Ulger” (Legend) in Ulan-Ude; the Chuvash Puppet Theatre in Cheboksary; the Udmurt Puppet Theatre in Izhevsk; the Mari El Puppet Theatre in Yoshkar-Ola; the Khakass Puppet Theatre “Skazka” (Fairy Tale) in Abakan; the Daghestan Puppet Theatre in Makhachkala, and many others are respected by professionals. 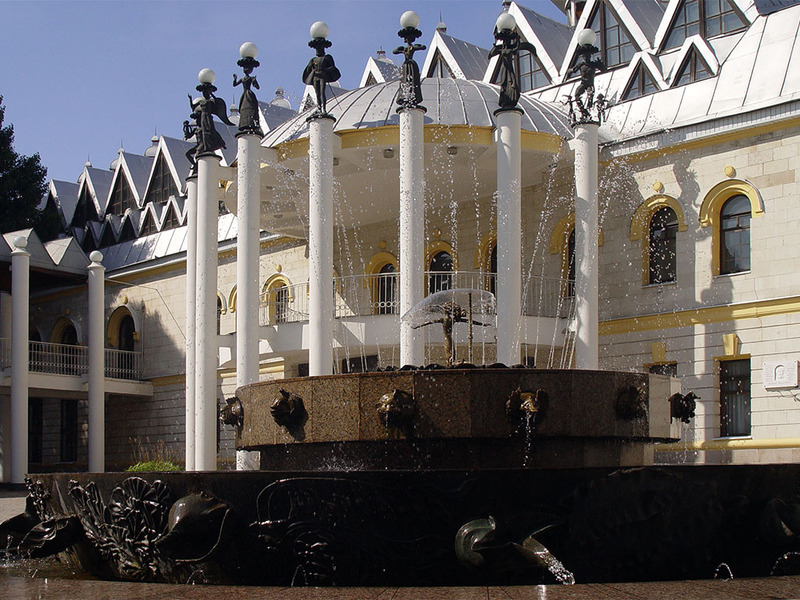 The Tartar Puppet Theatre “Ekiyat” founded in 1934 in Kazan and The Bashkir Puppet Theatre founded in 1932 in Ufa are the oldest ethnic puppet theatres in the country. Most puppetry schools in Russia apply the teaching methods of Mikhail Korolev. His system includes four directions of professional training: puppet theatre actor, director, scenographer (designer) and constructor. The training period is four to five years. This system is applied by the Puppetry Department of the Sankt-Peterburgskaya gosudarstvennaya akademiya teatralnogo iskusstva (Saint Petersburg State Theatre Arts Academy). Puppet theatre actors are also trained at the Yaroslavsky gosudarstvenny teatralny institut (Yaroslavl State Theatre Institute), the Yekaterinburgsky gosudarstvenny teatralny institut (Yekaterinburg State Theatre Institute), and the Nizhegorodskoye teatralnoye uchilische (Nizhny Novgorod Theatre School). There are a number of museums which reflect the vitality of the puppet arts in Russia. They keep a vast store of exhibits showing the history and contemporary state of puppetry, both in Russia and worldwide. The museum of the Sergei Obraztsov State Academic Central Puppet Theatre in Moscow holds the largest collection of figures both modern and traditional from many countries, as well as archival material. In the capital one may also find the Teatralny gosudarstvenny tsentralny muzei imeni A.A. Bakhrushina (Aleksei Bakhrushin State Central Theatre Museum). It has a collection of puppets, sketches and artefacts related to puppetry, most from the former Soviet republics. In Saint Petersburg the Teatr marionetok imeni E.S. Demmeni (Saint Petersburg Demmeni Marionette Theatre) houses a collection of the puppets from the theatre’s repertoire since the 1920s. The Muzei antropologii i etnographii imeni Petra Velikogo (Kunstkamera) (The Peter the Great Museum of Anthropology and Ethnography Kunstkamera) possesses a collection of puppets from South East Asia, India and China. The Rossiysky etnographichesky muzei (Russian Museum of Ethnography) displays collections of ritual masks from northern Russia, from Moldavia and other cult and shamanic objects from Siberia, the Far East, and those connected with the vertep (Nativity scenes). Two magazines are irregularly published, both in Moscow: Kukart since 1989, edited by arts historian Irina Uvarova, each edition dedicated to a single theme, such as “Carnival and Puppets”, “Home Theatres”, “Books and Puppets”, “The Nativity”, “The Avant-Garde”, “Meyerhold and the Puppet”. The second is Teatr Chudes (Theatre of Miracles), also published since 2001 by the Sergei Obraztsov State Academic Central Puppet Theatre with the Sergei Obraztsov Foundation and the Russian Centre of UNIMA. A number of puppet festivals with a variety of themes, goals, and target audiences are held in Russia every year: the International KUKART Festival is held annually in Saint Petersburg; the biennial Muraveinik (Ant-House) in Ivanovo; and the Abakan Skazka (Fairy Tale) Theatre holds the international ethno-ecological festival, Tchir Thayan (Spirit of the Earth). There are the Ural, Siberian, and Far Eastern festivals which take place in various regional cities: V gostyakh u Arlekina (Visiting Harlequin) in Omsk; Arbuznik (Water-Melon Fiesta) in Orenburg; and the biggest international festival in the Ural region, Petrushka Veliky (Petrushka the Great) in Yekaterinburg. One of the highest-profile festivals in Russia is held in Ryazan, the biennial Ryazanskiye smotriny (Bridal Show-Off in Ryazan) hosted by the Ryazansky oblastnoi teatr kukol (Ryazan Regional Puppet Theatre), and the annual Obraztsovfest takes place in Moscow. Moscow is also host to the amateur and professional vertep festival held since 1995. The annual Russian national competition and festival of performing arts Zolotaya maska (Golden Mask) includes a puppetry section. 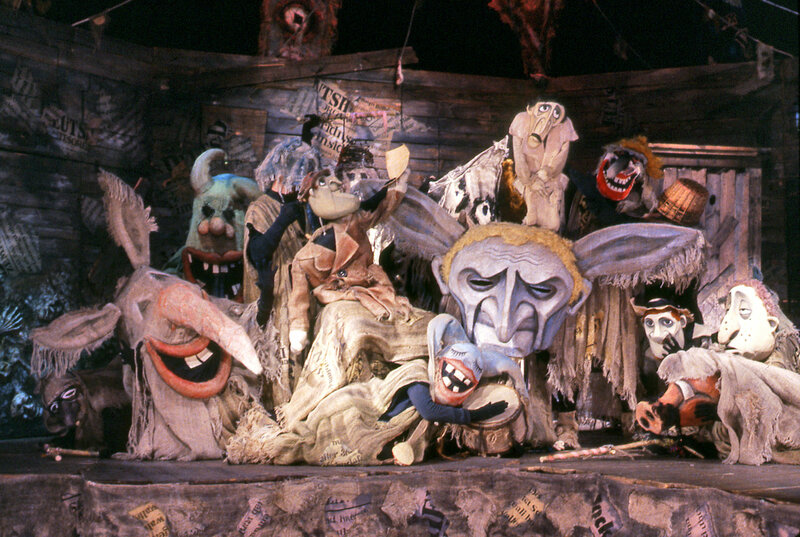 The first puppetry performance to be given the highest theatrical award was Vertep (1966) staged by the Arkhangelsky oblastnoi teatr kukol (Arkhangelsk Regional Puppet Theatre). Lecucq, Alain, ed. Cahiers de la marionette, No. 3: Le Théâtre de marionnettes en Union Soviétique. De la Révolution à S. Obraztsov [Monographs of the Puppet, No. 3: The Puppet Theatre in the Soviet Union. From the Revolution to S. Obraztsov]. Pref. Anna Chpaer. Caen: Centre Théâtre de Figure, septembre 1985. Muzei Teatralnykh Kukol GACTK imeni S.V.Obraztsova [Puppet Museum of the Sergei Obraztsov Central Puppet Theatre]. Photo album. Moscow: Book House, 2005. Nekrylova, Anna Fyodorovna. Russkie narodnye gorodskie prazdniki, uveseleniya i zrelischa [Russian Folk Urban Festivals, Entertainment and Spectacles]. Leningrad, 1988 (illustrated). Polyakova, Olga. Der Krieg und die Puppe. Das sowjetische Puppentheater im Zweiten Welt Krieg [The War and Puppets: The Soviet Puppet Theatre in the Years of World War II]. Front Puppentheater. Puppenspieler im Kriegsgeschehen [Puppet Theatre at the Front. Puppeteer in Wartime]. Berlin: Elefanten Press, 1997, pp. 66-204. Puppet Theatre in USSR. Lettre d’information, Union Internationale de la Marionnette. Moscow: Soviet section of UNIMA, 1984.